This is, I'm sure, answered somewhere else. It is also related to Pascal's triangle. 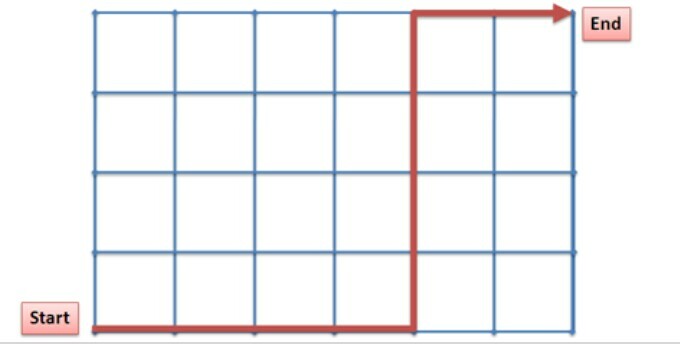 In this grid, each number represents the number of ways of getting to that particular intersection. And that number is precisely the number of ways to get to the intersection below it added to the number of ways to get to the intersection to the left of it. Here is a small python program which solves it. Every step we can go up or right with the goal being 4,6.
and then count them up. You should have 210 in total. Who can find the most efficient path counting algorithm? 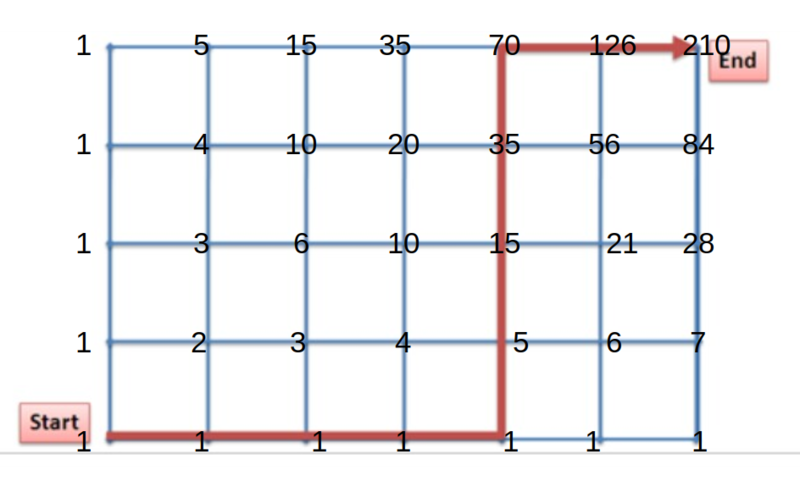 The King's Routes Problem: How many possibilities?